Where is my Dunkirk camo? 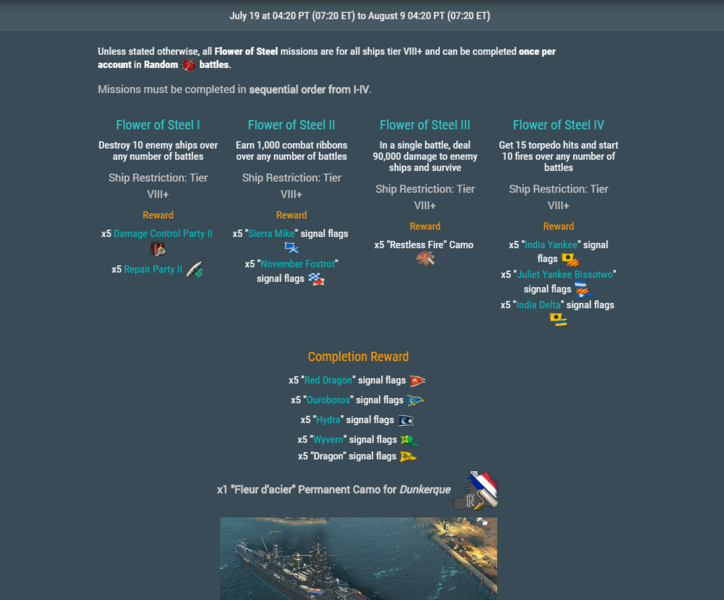 Alright, so the "Fleur d'acier" camo for the T6 Dunkirk premium. Around a year ago we all had a mission to earn this camo for the Dunkirk. I, at the time, i did not own the Dunkirk, but did earn the camo from the mission. So, where is the camo? And why is Wargaming telling me i have something, that i don't have. I would appreciate any insight on this issue. They say you have it but it’s not available to select? Submit a ticket. The camo that is displayed on your Dunkerque is the Fleur d"acier camo that you received. Look in your camo section under exterior. Yea... usually it's right next to the regular camo for the premium, 2nd camo across the top row, if memory serves me well. darn, missed this mission to get that camo its nice lookin, any chance wg might run this mission again?? They have actually run it twice in total. I expect they will again, the camo is one of the few alternate camo patterns that looks cool. 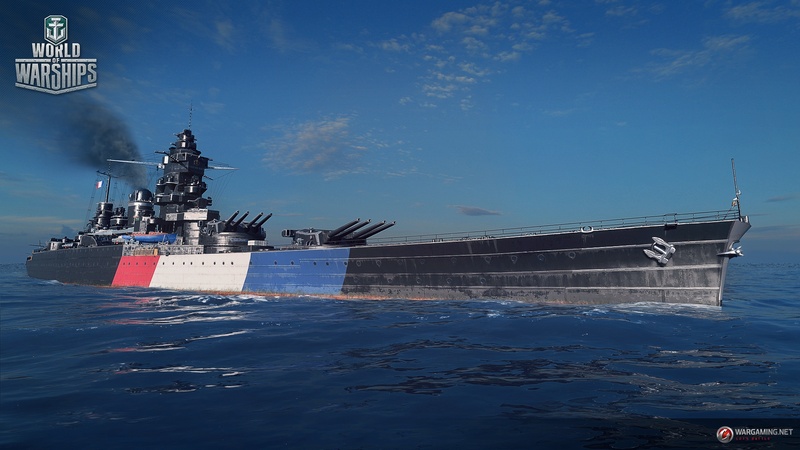 The Richelieu is.. well... fancy, but a bit delicate for combat.